You might know him as the hilarious, sarcastic Brit from The Daily Show. You might know him as Bill Maher’s less self-righteous, more journalistic HBO counterpart. You might even know him as the voice of Sandy on Spongebob. John Oliver is two of these. 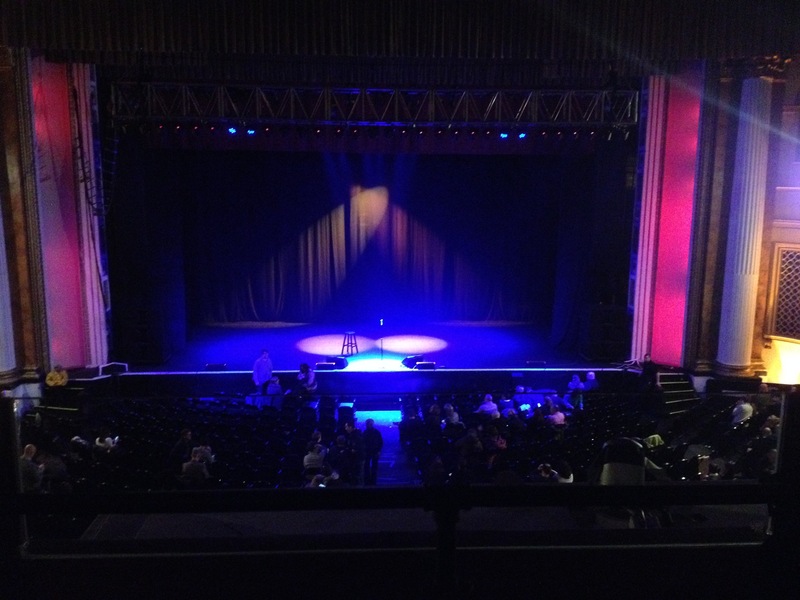 My roommate surprised me with tickets to see John Oliver perform over an hour of stand-up last Friday at The Tower Theater in Upper Darby. Already a huge fan of his work on Last Week Tonight and The Daily Show, I was thrilled. Despite this immense bias, I will try to keep this review analytical and largely objective. He was so dope. After a clever and charismatic opening set by comedian Brooks Whelan, John walked onstage wearing nothing but a plaid shirt and a smile. Also jeans and probably underwear and socks and some shoes. Consistent with this casual outfit was his voice throughout the performance; we were not seeing John Oliver the correspondent, or even John Oliver the delightfully biting late night host. We were seeing the John Oliver outside of work, a version perhaps less focused on politics but no less full of energy. That’s not to say his material was purely personal; one of my favorite bits from the night concerned his anxiety around Britain’s imperialist past and present. He claimed that walking into any museum in England is like visiting an active crime scene: they should just put yellow tape around the whole thing. Oliver, a US citizen, devoted much of his ninety-minute set to critiquing British history and expressing ecstatic appreciation for American weirdness and quirks. Stand-up truly is the backbone of Mr. Oliver’s comedic chops. He is an extremely present, intelligent, quick-witted, and thoughtful performer. His expository satire on Last Week Tonight presents a powerful voice in the media right now, and seeing the performer in his element was a cool insight into how his mind really works. With Oliver’s upcoming season, Stephen Colbert taking over Letterman’s Late Show spot, and Larry Wilmore replacing him on Comedy Central, powerful progressive political voices are starting to dominate late night television. Oliver knows how to write and how to relate to an audience; seeing him in action is both informative and exhilarating. So if you’re into that, or if you just like to laugh, you can see John Oliver on HBO on Sundays at 11pm starting February 8th. Factual error: he is not a US citizen. I also second a previous poster’s recommendation of “The Bugle.” It’s an excellent, irreverent, silly podcast. The only bad thing about the new season of “Last Week Tonight” starting is that he will have less time to do episodes of “The Bugle”!